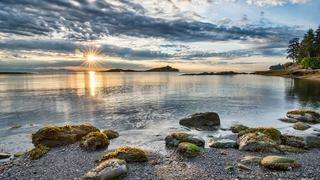 Canada’s West Coast is vast and you need months to truly discover everything that this wonderful region has to offer. With most large yachts based out of either Victoria on Vancouver Island or in the City of Vancouver you need to carefully plan your route. This nine-day itinerary allows you to take in some of the regions historic towns as well as ticking off the bucket list destination of Desolation Sound. Whether enjoying a luxury yacht charter in Canada or visiting on a private yacht this eight-day itinerary for British Columbia won’t disappoint. *Day 1 - Victoria * After clearing customs in Vancouver, your party and luggage will be collected for the short hop to Victoria, ranked as one of the world’s most beautiful small cities. 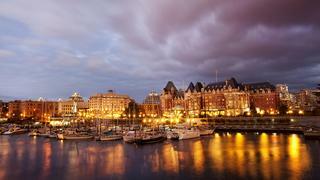 Settle aboard your yacht in the inner harbour and step out for traditional high tea at the historic Empress Hotel. 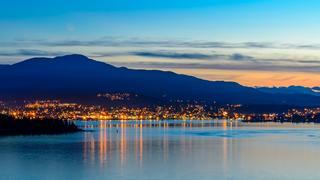 Canada’s West Coast is vast and you need months to truly discover everything that this wonderful region has to offer. With most large yachts based out of either Victoria on Vancouver Island or in the City of Vancouver you need to carefully plan your route. This nine-day itinerary allows you to take in some of the regions historic towns as well as ticking off the bucket list destination of Desolation Sound. Whether enjoying a luxury yacht charter in Canada or visiting on a private yacht this eight-day itinerary for British Columbia won’t disappoint. After clearing customs in Vancouver, your party and luggage will be collected for the short hop to Victoria, ranked as one of the world’s most beautiful small cities. Settle aboard your yacht in the inner harbour and step out for traditional high tea at the historic Empress Hotel. After a morning enjoying the Victoria waterfront, head by car to beautiful Butchart Gardens while your yacht heads around the corner to Sydney, Canada’s unofficial “booktown” due to the plethora of booksellers in this resort area. Dine aboard watching the ferries arrive from the U.S. islands. Alternatively, cruise around to the Pacific coast and discover a rugged coast of uncommon beauty, calling at Sooke, where you might catch the Fall Fair, Bamfield, fjordlike Alberni Inlet and Tofino before heading back south and around to end the trip in Vancouver. After a morning enjoying the Victoria waterfront, head by car to beautiful Butchart Gardens while your yacht heads around the corner to Sydney, Canada’s unofficial “booktown” due to the plethora of booksellers in this resort area. Dine aboard watching the ferries arrive from the U.S. islands. Alternatively, cruise around to the Pacific coast and discover a rugged coast of uncommon beauty, calling at Sooke, where you might catch the Fall Fair, Bamfield, fjordlike Alberni Inlet and Tofino before heading back south and around to end the trip in Vancouver. Ganges Harbour on Saltspring Island is a recommended stop, especially in blustery weather. Ganges is a busy seaside village and home of the beautiful Hasting’s House Hotel. Chef Marcel Kauer is known for his use of local organic produce, lamb and fish. Cruise though an endless array of beautiful islands to reach Nanaimo. A farmers' market in summer, often accompanied by live music, appeases the locavores, while shoppers get one last chance before pushing off to Desolation Sound. A historical pageant of sorts happens each day; a performance by highland dancers, music by a piper in full regalia and the firing of a historic canon to mark the noon hour. It is about 30 miles to the mouth of Jervis Inlet, entrance to the often photographed Princess Louisa Inlet and Chatterbox Falls. Four miles long, it is surrounded by mile-high mountains and is 46 miles from the sea. Author Erle Stanley Gardner, wrote that no one could see Princess Louisa Inlet and remain an atheist. You can pull right up to the falls and take in their beauty first hand. 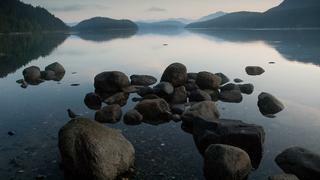 Desolation Sound is worth an entire trip in itself for nature lovers and fishermen. 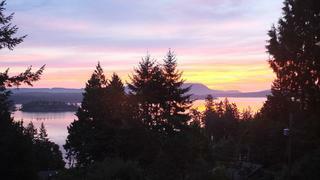 Cortes Island is a good starting point, and at Mansons Landing you’ll find the Cortes Island Museum & Archives Society. Opened in the 1930s, it offers an excellent introduction to Sound history and the personal stories of local tribes, pioneers, immigrants and loggers. For more frontier atmosphere motor northeast, through glorious fjords, to Teakerne Arm on West Redonda Island where you can moor against a picture postcard log boom. 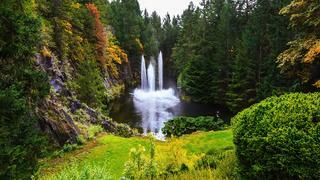 Take a picnic for a short stroll up the side of Cassel Falls and spend an afternoon at the placid lake there. 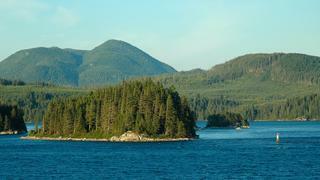 Almost anywhere you anchor in Desolation Sound, you’ll find water warm enough for swimming and kayaking. You can also marvel at purple and orange starfish and delight in watching eagles fish for salmon. 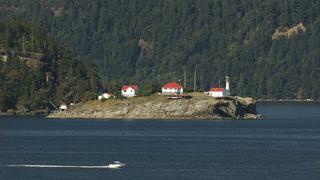 Head on to beautiful April Point on Quadra Island via Sutil Channel passing innumerable coves. Keep an eye out for bears on shore and dolphins, sea lions and orcas in the water. Lines out as you pass Cape Mudge, world famous for salmon fishing. This is a good place to stretch your legs at the April Point’s resort and spa or visit the Nuyumbalees Cultural Centre for history and First Nation artefacts in Yaculta. Cross Discovery Passage for Campbell River, what passes for a bustling town in these parts. Don’t miss the Maritime Heritage Centre, Campbell River Museum, shops with local art and native crafts. Enjoy a favourite of the locals — have an ice cream cone while you stroll the fishing pier. A float plane will return you to catch homeward flights in either Vancouver or Victoria. Alternatively you could decide to extend your trip and enjoy Vancouver's restaurants and nightlife or family activities.